#Roommates, it looks like things are heating up in the #Tekashi69 case. According to @TMZ_TV, 3 more associates have been indicted in the #ChiefKeef shooting. 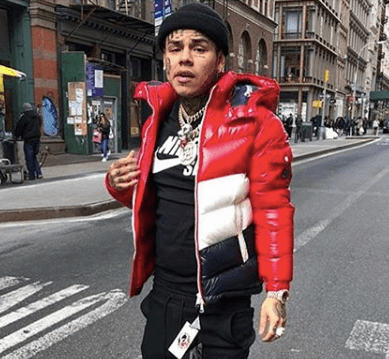 Law enforcement sources confirmed that #Tekashi reportedly pin pointed #KinteaMcKinzie also known as #KoodaB as the gunman. Along with Kooda, #AnthonyEllison and #DenardButler have also been indicted. McKinzie was allegedly paid $10K to shoot Chief Keef. As you all know, the pair had beef for a few months before Tekashi was arrested. To make things more complicated, it seems McKenzie hasn’t been apprehended by police just yet. The story is still ongoing, but we’ll let you know any updates #Roommates!